PLEASE NOTE: Actual color may differ from the color shown in the image(s) due to monitor displays. These unscented candlesticks burn exceptionally long. 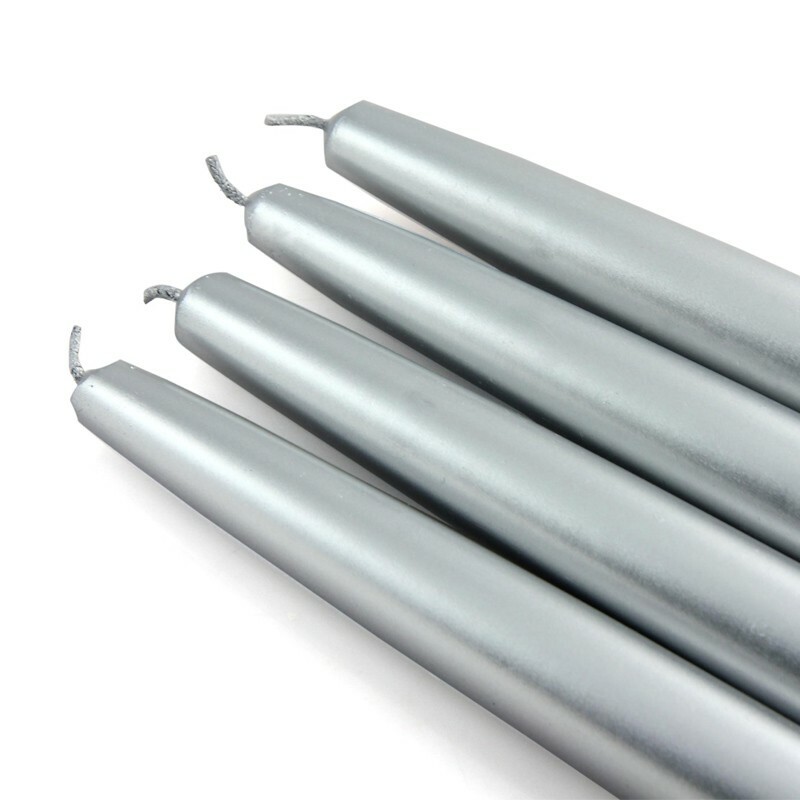 Metallic candles have silver inner wax with a metallic finish.